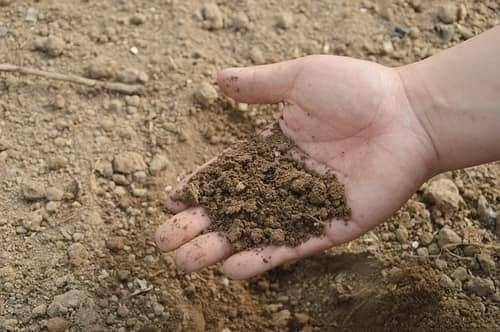 If you plan on growing plants, grass, vegetables, fruit or anything else in your garden, then one thing you will need to know is what type of soil you have. All over the UK, there are different types of soil. Some types are great for gardening, and some quite honestly are useless for gardening. The good news is that almost any soil can be improved to make it suitable for growing. The worst case scenario is that you may have to fully replace the soil in your garden. That is not that expensive to do, but it sure can be very time consuming. 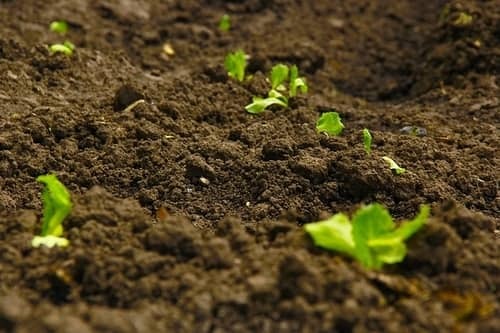 In the remainder of this article we explain the different soil types, how to improve them and also what you can grow on the different types of soil. How to Determine What Type of Soil You Have in Your Garden? Soil is made from rock along with the decaying remains of animals and vegetable decay. Large heavy rocks started to crumble and break down thanks to the wonders of nature. These include heat, water action of rivers, lakes and the oceans, and friction were largely responsible for this breakdown of rock into finer grains. Rocks rubbed up against one another to cause heat and friction and break down the large masses of rock. When this happens over very long periods of time, you do eventually get sand and sand like substances. Just look around the UK and Ireland at the many beaches we have today. All of our sea shores are just great masses of pure sand. Now of course, If soil was just broken up sandy rock masses then indeed it would be a very poor and unproductive type of soil. However when these crumbling rocks were combined with animal and vegetable life that was decaying, we instantly got much better soil. So when you think about the actual soil in your own garden, then this soil is in effect a sandy soil mixed with other items such as clay, vegetable matter or humus, and often animal waste. Most sandy soils are usually very well drained, and are often acid in nature. They are also deficient in potash and phosphates. Farmers class this as early soil as it warms up quickly after the winter months. In other words this is good soil if you want early crops. This type of soil however does need a lot of organic manure. These soils also dry out quickly and for flower or vegetable gardeners regular watering and feeding is very important. Many gardeners will come across soils that are wet and sticky. Almost always this type of soil is called clay. This type of clay soil happens when certain portions of rock masses started to dissolve, when water trickled over them. It is also important to note that at the time when this soil formed, there was also a high amount of heat involved. The gas in the heated air, which is called carbon dioxide, attacked and broke down the rocks. This gas acts almost like an acid and eats away at the rocks. This is a chemical change to the rock which makes clay. Now we mentioned above sandy soil, and that is primarily a mechanical action. That means that the rocks rubbing together eventually lead to a sandy type substance with no chemical change. In other words just really tiny pieces of the original rock. With clay there is an actual chemical change caused by a mixture of carbon dioxide and water. Clay soils are also called mud soils because of the amount of water used in their formation. Clay soils, if you can properly drain them can in fact be very fertile soils. They can easily grow beans and potatoes, but you do need to have some gardening skills to make this work well. You shouldn't work this type of soil when it is wet. It can be improved by the addition of humus, and also by digging it when the frost can get at it and help break it down. The third sort of soil, and one of the most popular is lime soil. As you may already know this type of soil was originally formed from limestone. If you studied Geology at school, then you may know how limestone formed. If not, here is a very brief explanation. Millions of years ago the lower animal and plant forms picked and ate from the water small particles of lime. With the lime they formed skeletons or houses that gave them a safe place to hide from larger animals. A really good example of this is "coral," which is typical of this class of skeleton-forming animal. As nature determines these animals died but the skeleton remained. Over very long periods of time this matter got pressed and pushed together to form limestone. There are different types of limestone such as chalk and marble. Loam soils are an intermediate between clay and sand. There is a lot of variation in this type of soil between being light to work and heavy to work. A medium loam is however an ideal type of soil to work with. If loam sits on top of limestone or chalk, then it will be alkaline and will not need lime added to it, otherwise lime will be required. If you could wish for one type of soil in your garden, then a medium loam would be ideal. These are in a class all of their own. They are however very rare to find in most gardens. Peat is actually vegetable matter which has been compressed under water, and has then rotted away. If the peat land is wet, then generally speaking it is pretty useless when it comes to growing anything. On the other hand, if drained well can be the best soils available. They will grow anything if well drained. What I have described above is a very simplistic method of describing soil. The reality is that is that there are many different types of rocks, and as such, there are as many different types of sub soils. Now gardeners know they can not always get the perfect type of soil. There are however ways that we can work with the existing soil, or at least improve what we have got. Soil may also be described as being light or heavy, and that is mainly down to the size of the soil granules. Light soil is made from big granules, and heavy soil is made from smaller granules. Now when gardeners use the term light or heavy, they are not referring to weight, but to how easy the soil is to work with. Subsoil is simply what sits underneath the main soil in our gardens. Most soil, often referred to as "top soil" sites on the top of our gardens and is usually only a few centimetres in depth. The subsoil is the soil underneath that top layer. Sub soil is very important because of its influence on drainage. If your sub soil is a heavy clay, then the drainage will be really bad. That means that the soil and anything in it will be wet. If however the sub soil is formed from sand, gravel, decayed chalk or even limestone, then the soil and land on it will be fairly dry. Finally underneath the sub soil you will mainly find rock. That is essentially the crust of the earth. The type of rock can also impact on the drainage. Anything such as sandstone, limestone or chalk will all offer good drainage. Slate, mudstone, granite and shales make for poor drainage. Don't give up though as there are many ways to improve drainage. In this section we are going to explain how to figure out what type of soil you have in your garden? The first thing to understand is that you may need to check the soil from different areas of your garden. With a small plot that is not that important. However with a larger plot the soil type may vary. So if you have a medium to large garden always test a few samples. The main reason that you want to figure out the soil type is that you can choose the best plants to grow in your garden. You can also figure out where are the areas that you need to improve the quality of the soil. Above we have explained what the different types of soil are, so you should be able to figure out what type of soil you have. At that stage you can now test the soil, and the best method of doing that is the "pH test." The pH stands for potential of Hydrogen. It is a number range from 1 to 14. As such 7 is known as the neutral or mid point on the scale. Any value under 7 indicates that the soil is acid in nature, and values over 7 indicate an alkaline type of soil. We don't want to bother you with mathematical or technical details. However we should mention that this is a logarithmic scale. That means that between 2 adjacent values the value will increase or decrease by a factor of 10. For example, a pH of 3 is ten times more acidic than a pH of 4, and 100 times more acidic than a pH of 5. When it comes to testing soil it is usually measured between 3.5 to 8.5. Fruit and vegetables for example prefer soils that are neutral or slightly acidic. To test your soil, you do need a soil testing kit, such as the one shown on the right. These are useful as they can guide you as to which types of plants will grow best in the soil type that you have. It can also show you the areas of soil that can be improved. Now there are many ways to improve soil by adding manure, compost, tree bark etc. So knowing what type of soil you have, can really help out a lot. Underneath most UK gardens, if you dig deep enough there will be a bed or rock, or at best a load of stones. On top of that you will find the sub-soil that we have described above. Then right at the top of the garden is what is called top soil. Top soil is the uppermost layer of soil. That is essentially where you will plant your grass, flowers, shrubs, trees and vegetables. The quality of that top soil will, as we have explained determine what will grow there. Generally speaking most top soil is sub-standard, and not that good for growing. Any serious gardener will almost always replace this with rich top soil. Now for the average home owner this will not of course be a priority. Top soil is however cheap to buy in bulk or in bags from any garden centre and from many DIY stores. People use this top soil for making raised beds, in garden borders, and as a base to lay lawns. Just be aware that there are different grades of top soil which are basic economy, general purpose top soil and then premium top soil. This is one of the most common uses for top soil and is used by all good landscape gardeners. This layer of top soil should be at least 4" deep as grass roots will go down at least that much. For these you need a much deeper top soil as plant roots go much deeper. Ideally you want this to be 8-12" of top soil.